As USD is getting weak, GBP is becoming an attractive asset. 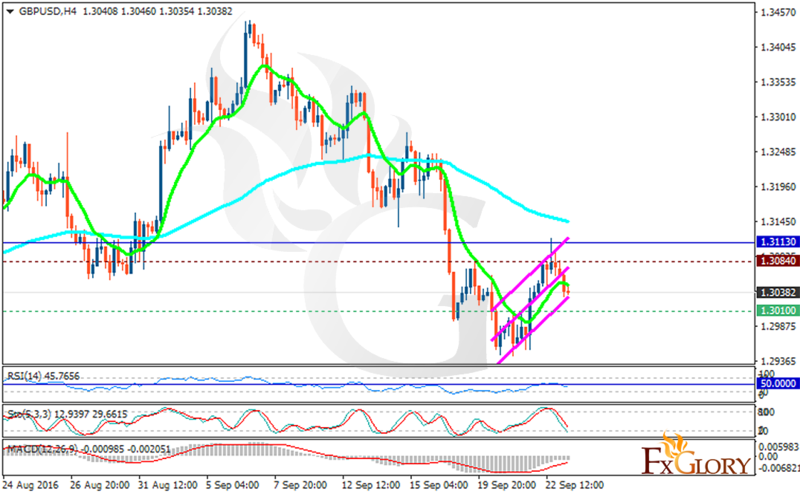 The support rests at 1.30100 with resistance at 1.30840 which both lines are below the weekly pivot point at 1.31130. The EMA of 10 is moving with bearish bias and it is located below the EMA of 100. The RSI is moving below the 50 level, the Stochastic is showing downward momentum and the MACD indicator is in negative territory heading up. The pair may continue its downward trend heading towards the support area however, it won’t grow further than 1.3100.